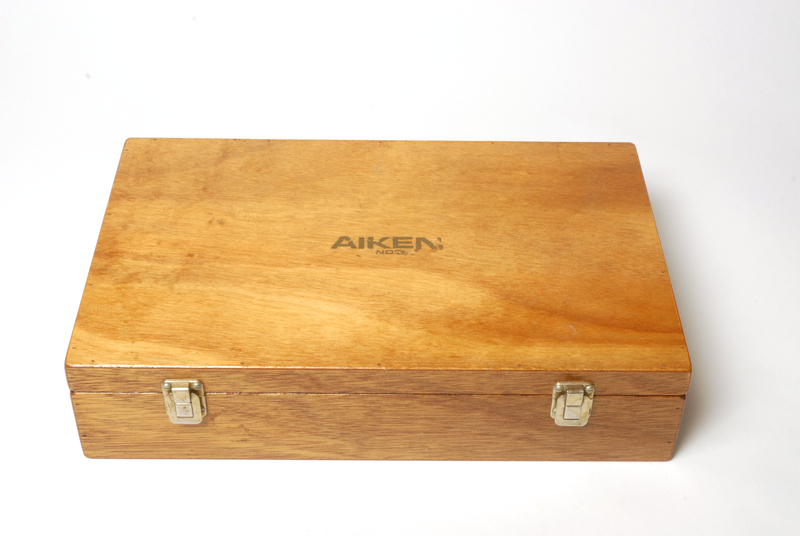 Tackle boxes part six – The Henry Aiken of London tackle box. I pretty much dragged this box around lake and river throughout the 1980’s and 1990’s, it could take a lot of tackle and an impressive float collection. 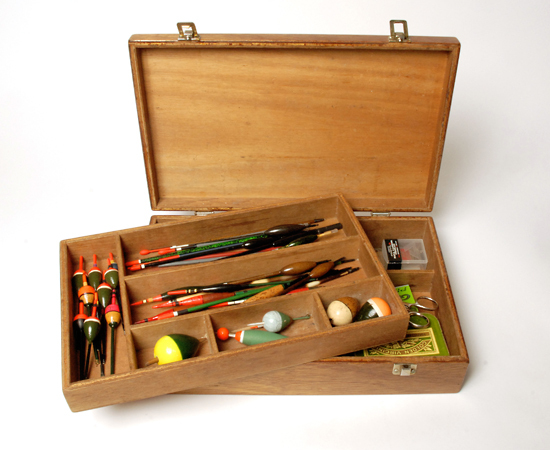 It was only when I discovered a low-fi approach to angling that this box was shelved, but it still remains the tackle box that has shared more personal angling experiences than any other. The interior wood is still stained with strawberry flavourings from my early days of carp fishing on a small pond near Ansty in West Sussex, in search of my first ‘double’. Eventually with the help of Carp Fever it did happen, a 11 1/4 lb specimen. Even now, twenty five years on a light waft of strawberry essence mixed with pilchard oil lifts the nostrils as the lid is opened and a memory ignited, this box shall never be passed on!